So how do you get the Sharks competing for your business? You invent a Scrub Daddy and continuously keep selling out on QVC three times in a row. Aaron Krause came into the Shark Tank looking for $100k for 10% of the business valuing it at a Cool Million Dollars. Sales in the first 4 months have already reached over $100k. two were going to go at it, again. What wasn't so obvious was the fact that this little Scrub Daddy was going to start a large bidding war going into Krause's favor. Kevin was quickly silenced as the bidding war between Daymond and Lori reached an unprecedented double the asking price. Greiner was not going to let this go and John knew it. Daymond then quickly withdraws his offer and announces he has just screwd Lori out of an extra $100k. Smartly played I must say. Never the less Lori Greiner made the deal for $200k and 20% of the Scrub Daddy Enterprise. She obviously was aware of the QVC numbers and was probably willing to go much higher given the potential this product has. UPDATE: Lori Greiner wasted no time on getting to work on this product. Lori and Aaron Krause were on the QVC Channel the day after the airing of the Shark Tank. The Scrub Daddy sold out in 6 minutes. Now That's A Success Story! and get ready for Scrub Daddy to be smiling in a store near you SOON! Thanks for all the support Shark Tank fans! WE LOVE YOU! Aaron "The Daddy of The Scrub Daddy"
congrats, I was so impressed watching you on the show and to see how successful Lori has made this product. I love the scrubby daddy. I saw it on a rerun of Shark tank and headed straight to Bed Bath and Beyond. According to the video, they sold 7,000, not 70,000...a slight difference, just for accuracy's sake. As I stated above we sold over 70,000 Scrub Daddys in about 6 minutes, and its TRUE. We sold 8000 SETS of 6 on the show, 7000 before we went off air, and then QVC went into back order of 4000 SETS of 6. That is 12,000 sets of 6 or 72,000 Scrub Daddys as I stated accuratly. I would like to be a marketing rep in my state at retail outlets and fairs craft show trade shows ect would that be a possibility if so what do I need to do? YEP! I just bought one at Albertsons and it does what he says!! Congratulations! Thank you also that these are MADE IN THE USA!! I look forward to using these in many places throughout my home. Have to keep the house clean so may as well smile while doing it. They recently started making them in Germany for cost reasons. When we find this product in stores. I stay in NJ and is waiting for this product since Shark Tank went live. 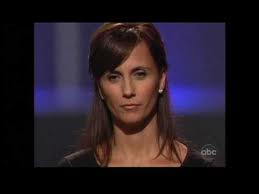 I just got my wife to watch this part of Shark Tank. She immediately said "I'd buy that"
I'm buying that product !! As soon as I saw it, being a woman, mom and running a business myself...Lori is going to look at that and instantly know that is a winner. The one episode I deleted early! So, I had to run to the internet so I could see how this turned out! That is awesome Scrub Daddy and Lori! Congratulations! You showed those guys! I was cringing when I saw what Daymond said. I was soooo glad you stuck it to him Lori! Really terrific!I never thought I could be so inspired and motivated by a smiley face sponge! 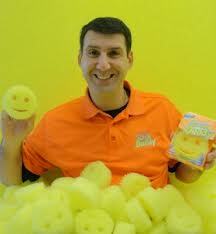 GREAT DEMO, GREAT PRODUCT, GOOD JOB SCRUBDADDY! I AM ANXIOUS TO GET MY HANDS ON ONE OF THOSE SMILEY FACES. HOW DOES IT DO AT SCRUBING RUST SPOTS ON THE BATH TUB? 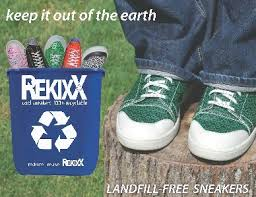 I WOULD HAVE LIKE TO HAVE SEEN YOU EMPHASIZING THE CLEANING IS CHEMICAL FREE, ECO-FRIENLY AND NON-ALLERGENIC. THESE ARE IMPORTANT POINTS OF THIS GOING GREEN PRODUCT, THAT HAPPENS TO BE YELLOW. CONGRATULATIONS AND SMILE ALL THE WAY TO THE BANK. i want a scrub daddy! THANK YOU THANK YOU THANK YOU FOR REPLACING MY MOM'S SKANKY WHITE WASHCLOTH THAT WAS NEVER CLEAN ENOUGH NOT TO HAVE ME BLEACH IT DAILY. SELLING AT BED BATH AND BEYOND MADE THIS EVEN EASIER. 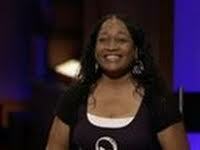 I WATCH SHARK TANK NOW BECAUSE I LOOK FOR MORE PRODUCTS LIKE YOURS. coming in the future? Aaron, the design absolutely works cleaning any hard to clean pots,pans and the entire bathroom. Finally, a product that works better then advertised! Can't WAIT TO BE ABLE TO BUY THIS PRODUCT IN A STORE!!! I took a scrub daddy from my friend and I love it. I'm going to by more. I bought one at Bed Bath and Beyond...it is amazing!!! Used in in the shower...awesome! Suggestion: Since its Made in Germany NOT China Print the Words MADE IN GERMANY in LARGE PRINT on the Box. Maybe in 3 or 4 Places. When I saw it was made in Germany I Bought 10 to give away as Gifts. If it was Chinese I would Not have Purchased Any! I love the Scrub Daddy. It cleaned better than anything I had tried in the past. It may be a good product but before I buy on QVC or even HSN I check out other sources of purchase. QVC wants 18.90 for 6 of them. Plus almost $6.00 for shipping. If you're not sure if you really want to spend all that money at once (saying that because I've looked at a lot of websites with product comments and there's way too many negative ones for me to spend all that money without trying first), then go to Bed, Bath & Beyond. They also have them. They're $3.99 each. Then if you like them you can buy more. Amazing success story, love the innovation, idea and drive to create a new business. Can this be used on an acrylic tub? What is the difference between these and a Magic Eraser (If someone can clarify that for me?) Thanks!